Once you create a sub-project, all tracked hours will automatically be transferred to the first sub-project. This means that, after creating sub-projects, you target all hours, expenses and bills to sub-projects only. You can create different project structures in Taimer, by dividing a project into sub-projects. This can be useful if you need to split a larger project into smaller independent fragments, but still managing them all as one whole project structure. This can easily be done from the option-icon, left side in the project list. You can manage sub-projects as totally independent entities. This means that each project can have it's own project team, resourced work phases, cost structure and deadlines. Since Taimer is built around user rights, you can even restrict team members to only view and access projects that they are a member of. This can be very convenient for larger teams and organisations. Now that you have created sub-projects you can schedule work phases by team member and sub-project. This gives the possibility to have manage resourced phases, tracked hours, cost-structure and have a cleat insight into each sub-project independently > but still managing the whole project structure as one. You have now added resourced work phases to team members. When tracking hours to sub-projects an additional work phase -field will appear. Hours are tracked to resourced work phases, and you have real-time follow up by sub-project and user, on how your deadlines and resourced budgeted hours are progressing. 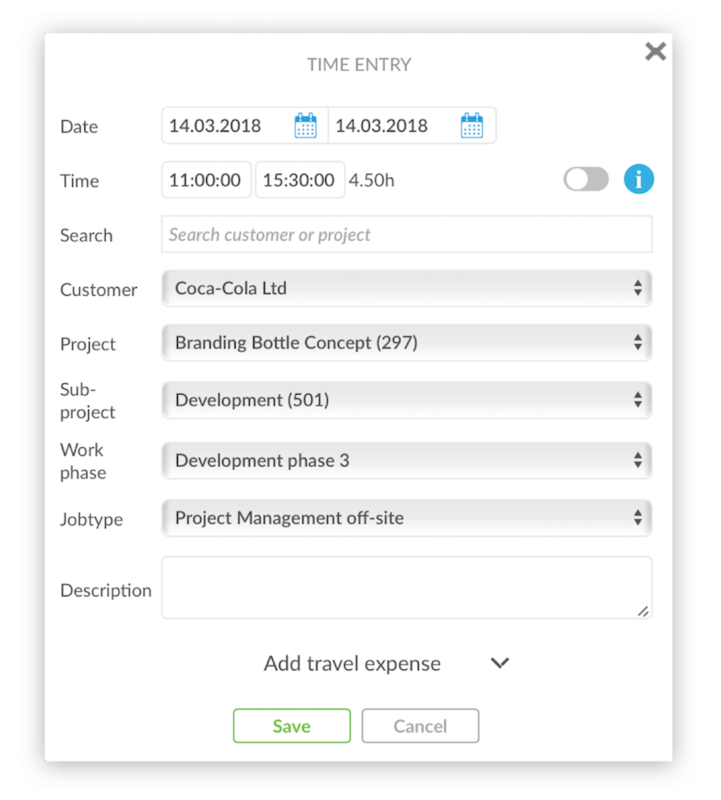 Now that you have created sub-projects, resourced hours, tracked hours, added scheduled invoicing, targeted bills and sent invoices you can easily follow up on your projects progress even from the project list. Also find more useful insight in reports and dashboard overview. There are multiple invoicing possibilities. 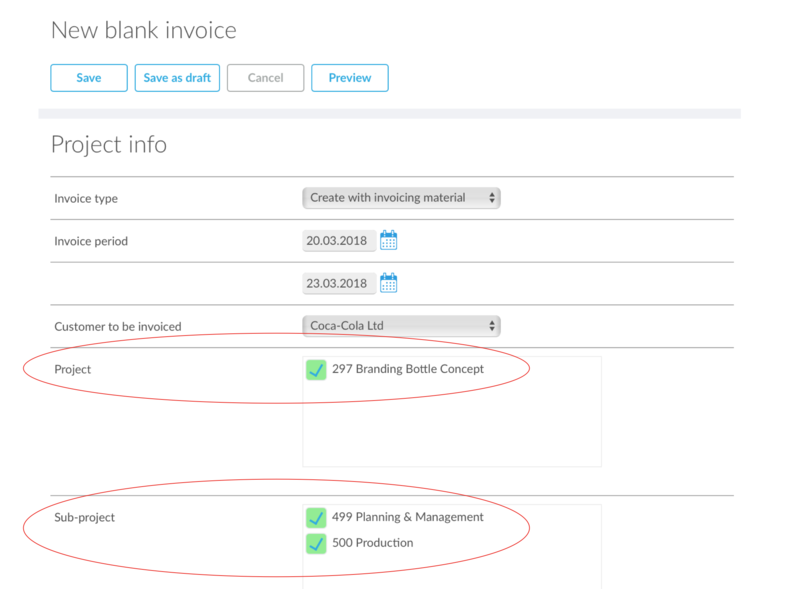 Create invoices with scheduled invoicing, so that you have multiple sub-projects invoiced with one invoice. 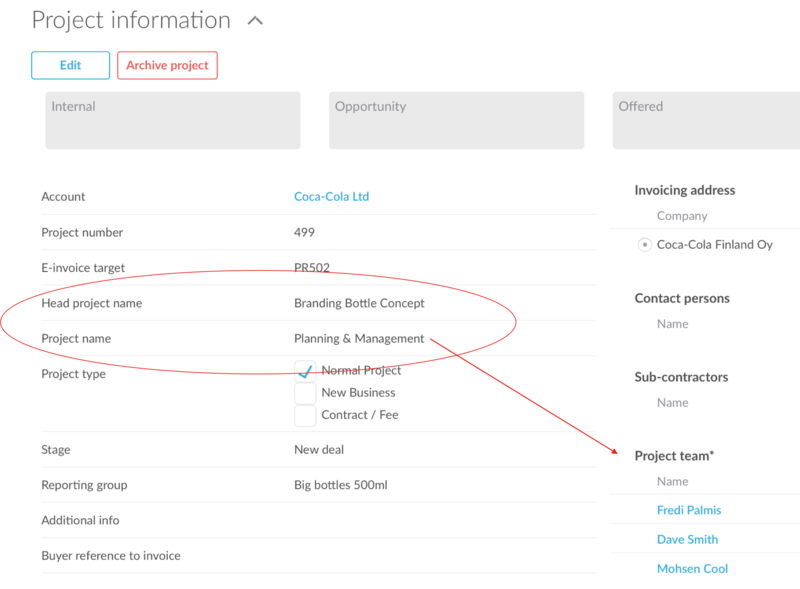 Your end customers will get one invoice and in your Taimer you have sub-project based real-time follow up on your cost structure.